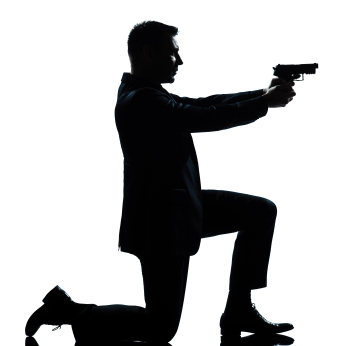 Why Do We Have Trigger-Happy Police, Trigger Shy Secret Service? Here’s a quiz: Which crime is more likely to get you shot to death? B) Jaywalking in Ferguson, Mo., unarmed. The answer, of course, is B, at least if you’re a black man. And it’s not just in Ferguson. In South Carolina, a state trooper pulled over 35-year-old Levar Jones for a seat belt violation, but shot himas he reached for his license. (Jones survived.) In Ohio, police killed 22-year-old John Crawford III in Wal-mart for carrying a pellet gun he had picked up off the store’s shelf. In Utah, police questioned 22-year-old Darrien Hunt outside a shopping mall because he was carrying a replica of a samurai sword. Moments later, they shot him to death, in the back. And that’s just in the past eight weeks. It’s worth mentioning that these incidents all took place in small cities with almost no violent crime. Saratoga Springs, Utah, for instance, hasn’t seen a murder since 2010. Ferguson averages a little over one homicide a year. So why are police in those places so skittish? So quick to use deadly force? By the same token, why is the Secret Service so reluctant to do so? According to Samuel Walker, professor emeritus of criminal justice at the University of Nebraska at Omaha, the answer lies in the way law enforcement agents are trained to interact with the public. Too often, instead of deescalating conflict, police do just the opposite. That’s how an officer trying to give jaywalking citations in Seattle ended up breaking a guy’s nose. The pedestrian didn’t feel he had done anything wrong, and refused to stop. The officer got physical. The Department of Justice investigated, and found a pattern of low-level offenses turning into excessive use of force in Seattle. Racial distrust can make that dynamic even worse. Posted: 10/8/14 at 9:18 AM under News Story.